Tottenham Hotspur striker Harry Kane scored his ninth Premier League goal of the season on Wednesday, as Spurs beat Southampton 3-1 to move into third place in the table. Mauricio Pochettino's side went above Chelsea, who were surprisingly beaten 2-1 at Molineux by Wolverhampton Wanderers. Liverpool remained in second, still just two points behind Manchester City, after coming from behind to beat Burnley at Turf Moor. Arsenal dropped to fifth after being held to a 2-2 draw by Manchester United at Old Trafford. The Gunners twice took the lead, but goals from Anthony Martial and Jesse Lingard rescued a point for the Red Devils. 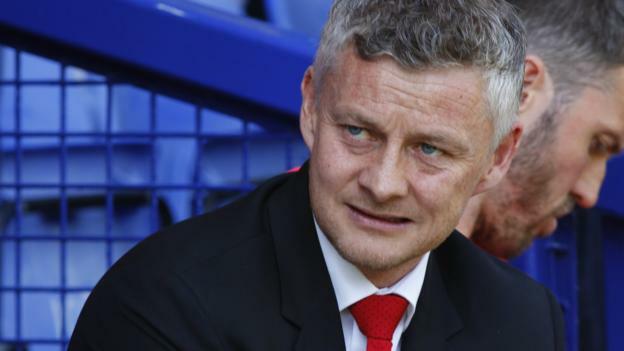 Manchester United's winless run in the Premier League now stretches to four games after they were held at home by Arsenal. The hosts started off with an intensity and drive that has largely been missing from their play this season, but they went behind through an error from goalkeeper David De Gea. The Spain international failed to deal with a header from Shkodran Mustafi, and Ander Herrera could not prevent it from going over the line. Arsenal's lead did not last long, as Martial equalised four minutes later from close range after goalkeeper Bernd Leno could only parry a Marcos Rojo shot. Alexandre Lacazette put Arsenal back in front on 68 minutes, but Lingard levelled almost immediately after capitalising on a mix-up between Leno and Sead Kolasinac. 102 - David De Gea is the first goalkeeper to save a Pierre-Emerick Aubameyang shot on target in the Premier League since Łukasz Fabiański for West Ham 102 days ago, ending a run of 10 consecutive shots on target scored for the Arsenal striker. Streak. The result means Arsenal dropped to fifth, while Manchester United are eight points off the top four. The Red Devils showed plenty of character, but once again they simply lacked quality. Liverpool remain hot on the heels of Manchester City at the top, but they had to come from behind against a struggling Burnley side. Jurgen Klopp opted to rotate his team and started without Mohamed Salah, Roberto Firmino and Sadio Mane. The Reds struggled to create chances in a goalless first half, and they went behind after the break when Jack Cork poked home from close range. Switzerland international Xherdan Shaqiri sealed the winner late on, finishing off a quick counter-attack to keep the Reds within touching distance of the champions at the top.